From the author of Bitter Roots, a novel about a young man facing the challenge of his past. All his life, Ezra has felt the failure of letting down his rancher father. 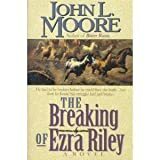 Now, years later, Ezra has come back to his dead father's drought-ruined Montana ranch to build a new life with his wife and son. But will the anxieties of his youth break him, or set him free?